By the time Henry had rid himself of his fifth wife, Catherine Howard, he was getting fairly old by standards of those days. His health was failing him as well. He was prematurly senile, in constant pain from his ulcerated leg, and physically weak from his obesity. He needed a nurse more than he needed a wife, but he found both in Katherine Parr. 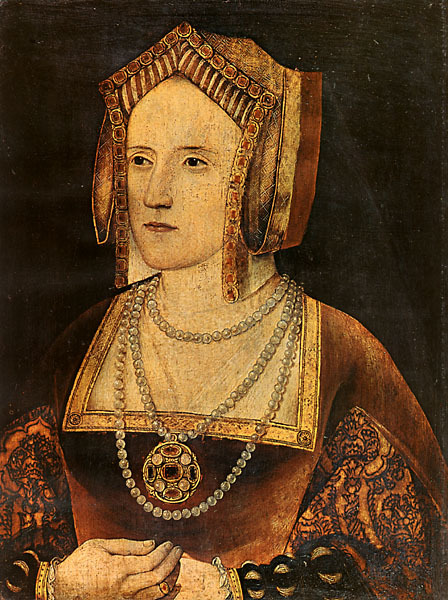 Katherine was the daughter of Thomas Parr who was Master of the Ward under Henry VII and her mother, Maud Green, was a lady-in-waiting to Catherine of Aragon. Katherine was born in her family's home of Kendal Castle in 1512 and received a quality education for a woman of those days. Her mother's connections allowed for Katherine to be educated by great tutors. She took a particular interest in religious literature and the new ideas of humanism. She also became fluent in many languages. Katherine was married at a very young age to a very elderly gentleman, Lord Edmund Borough of Gainsborough. She was quickly widowed and married again to Sir John Neville, Lord Latimer. After a few years, she was widowed again and by this time had accumulated a substantial fortune from inheritance. She was becoming well known at court for her learning and ability to converse with great intellectuals. Before the King took notice of her, Katherine may have been prepared to marry again. She was in love with Thomas Seymour, brother to the late Jane and one of the most eligible bachelors in England. But when Henry began to want Katherine for himself, he told his brother-in-law that it would be in his best interest to back off. Katherine understood the dangers that were associated with being the King's wife but she didn't dare refuse his proposal of marriage. The two were wed on July 12th, 1543, 18 months after the execution of Catherine Howard. Even though Katherine entered the union without her whole heart, it proved to be at least somewhat of a happy marriage. Henry was impressed with his intelligent and competent Queen. He gave her the title of Governor and Protector of the Realm during his absence and she reuinted all of the royal children with their father. Mary, Elizabeth, and Edward were all very fond of Catherine and she encouraged an act of Parliament that would reinstate the two princesses in line to the throne. Edward was found the best tutors for his education and Elizabeth was educated alongside of him. 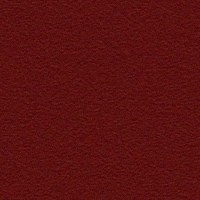 The marriage, however, was not without it's conflicts. Although Katherine had a way of softening the King's hostility, it did peep out every now and then. 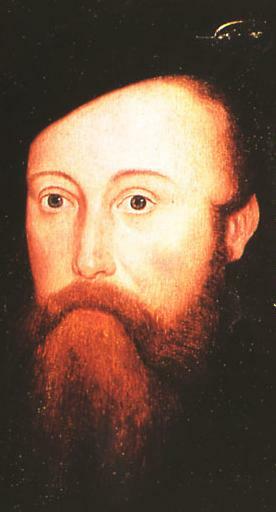 Henry was approached by Bishop Gardiner who was angry over Katherine's influence upon the King with her sympathy towards Protestants. Gardiner stated that he had evidence that could convict the Queen of heresy. In a fit of anger, Henry signed a bill of articles against Katherine. Katherine, however, obtained a copy of the draft and approached the King with it. She calmly explained to him that she was never trying to win him to the Protestant faith and that she only talked theology with him to take his mind of the pain of his leg. Henry was satisfied with her exaplnation. He kissed her and embraced her. The next day they were walking in the royal garden when they were approached by an armed guard of 40 men to arrest Katherine. Henry berated them, calling them fools and dismissed them all. They left, confused and bewildered. 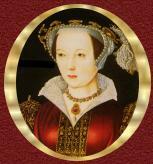 Henry, at the age of 55, died on January 28th, 1547 and Katherine was widowed for the third time. He was buried next to his beloved Jane Seymour in St. George's Chapel. Katherine was now free to marry her first love, Thomas Seymour. They waited a very short time after Henry's death to marry, causing quite a scandal for the Dowager Queen. Elizabeth stayed in the household of Katherine after her marriage to Seymour but Mary was disgusted at the match and thought her father's memory was being disgraced. Elizabeth would later be sent away when it was made aware to Katherine that her husband was making advances towards the princess, who was only about 12 at the time. Some believe that Seymour was plotting to marry Elizabeth himself after the death of his wife, or even to Jane Grey who was also in the household of Katherine and had legitimate claim to the throne. Katherine became pregnant by Seymour shortly after they were married and gave birth to a girl named Mary on August 30th, 1548. Katherine did not recover from the birth and died a week later. She was buried at St. Mary's Church. Katherine was probably the most fortunate of Henry's wives. The King was old when he married her and although he hoped for a child with her, the pressure was not as heavy as it was on former wives. Katherine was a good caregiver due to learning from her mother and experience with former elderly husbands. She would put the King's disgusting, injured leg in her lap and rub medication on it with her hands. She read to Henry when he was too debilitated to do it himself. Katherine took good care of the King's children after his death and Elizabeth would be known for the extensive education she was given in Katherine's care. As for Seymour, he would later be executed by his nephew, King Edward VI. 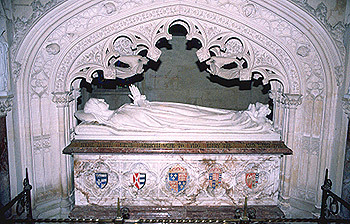 Katherine's tomb at St. Mary's Chapel, Sudelay Castle. Courtesy of The Heritage Trail.